Folknames: Clown's Lungwort, Bullock's Lungwort, Our Lady's Flannel, Adam's Flannel, Indian Flannel, Feltwort, Velvet Dock, Velvet Plant, Woolen, Blanket Herb, Beggar's Blanket, Candlewick Plant, Torches, High Taper, Hag Taper, Witches' Taper, Aaron's Rod, Jacob's Staff., St. Peter's Staff., Quaker Rouge. Location: Roadsides, embankments, vacant lots, and similar open, sunny areas. Botanical Description: Probably everyone has seen Mullein. It is a pretty plant, particularly conspicuous along highways in the city. Mullein is quite tall. It generally grows to about four feet high, but plants of six feet and more are not uncommon. Mullein is a biennial and in the first year produces a rosette of large, gray-green, feltlike leaves. The following year a tall, rigid stalk grows from the center of this rosette. This stalk ( occasionally branched near the top) is clasped along its entire length by smaller leaves which actually merge with the stalk at their bases. The upper part of this stalk becomes the flower spike. As summer advances, it becomes covered with densely packed buds. In the Northeast, delicate yellow flowers open at random along this stalk from late June until September. The entire plant is covered with fine, downy hairs that give Mullein its characteristic soft, velvety texture and appearance, and help the plant retain moisture. In the fall the woody stalks are covered with a beautiful starlike pattern of empty seed pods, which turn brown and persist on the stems throughout the winter. Mullein is an Old World plant. It was introduced from Europe, where it was for centuries an esteemed medicinal herb. The colonists planted it in their gardens; it has since escaped and become naturalized throughout the United States. Historical Lore, Legends, and Uses: The great respect and love formerly accorded to Mullein can be inferred from the number and variety of the folknames for it, of which the above is but a partial list. 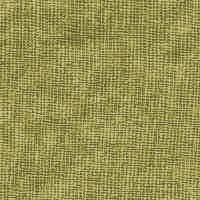 Some allude to the feltlike, woolly texture and size of the leaves; others reflect usage. Mullein was known in Greek as Flego and Fluma, that is, "to set on fire." According to one writer, "it served as a wick to put into lamps to burn." The leaves were rolled and dried and used as wicks for oil lamps and candles, and made excellent tinder. The Latin names for Mullein were Candelaria and Candela Regia. "The elder age," observed John Parkinson, a seventeenth-century herbalist, "used the stalks dipped in suet whether to burn at funerals or otherwise, and so likewise the English name High Taper, used in the same manner as a taper or torch." Mullein has been a valued medicinal herb since antiquity. The Greek physician-herbalist Dioscorides was one of the first to recommend its use in curing diseases of the lungs, and it remained thus employed for more than 1,800 years. Infusions of the leaves and flowers were used, and similar preparations were administered to cure lung ailments in swine and cattle. Mullein was used to treat a variety of other ailments. Awash prepared from the leaves, flowers, and roots soothed sprains, reduced inflammations, and healed wounds. The flowers infused in oil were used to cure hemorrhoids and as a specific cure for earache. In our own country, several native American tribes used Mullein to cure chest diseases. Since the plant was not native to America, this usage was probably received by them (no doubt along with the lung ailments it was said to cure) from the early settlers. The Navajos called Mullein "big tobacco." They mixed it with regular tobacco and smoked the combination to relieve coughing spasms. It was also believed that this remedy would cure simple mental diseases, the use of evil language, and the thinking of evil thoughts. The Delaware made poultices by boiling the leaves of Mullein and putting them into cloth bags. Applied to the joints, these poultices were said to reduce swelling and ease rheumatic pains. The Catawba called Mullein "gray leaf." They made poultices of the mashed leaves and used them for treating sprains, swelling, and wounds. For lung and bronchial troubles, the Catawba gathered Mullein leaves from plants that had not yet blossomed and mixed them into a syrup with another plant called "plum root." The Mohegans of Connecticut made a cough medicine by steeping Mullein leaves with molasses. Mullein was known to the Pennsylvania Dutch as Wolla Graut. The Amish eschewed the use of tobacco, but permitted Mullein leaves to be smoked for the relief of asthma attacks. To soothe nasal congestion and sore throat, boiling water was poured over the fresh leaves and flowers and the steam was inhaled. 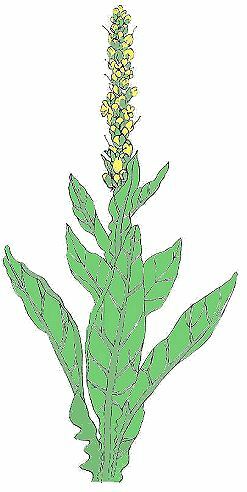 In the United States during the 18oos and early 19oos, Mullein was frequently prescribed for pulmonary diseases and physicians recommended its use for curing diarrhea and severe headache as well. Until quite recently, Mullein was a popular folk remedy in the Ozarks. Mullein-flower tea was drunk to relieve all kinds of chest disorders, from mild colds to pneumonia, and poultices of the leaves soaked in hot vinegar were applied to swellings and sprains. This last remedy was considered helpful for most painful conditions; an observer who lived among these people for many years remembers being told that a poultice of Mullein leaves was used to ease the pain of wounds caused by bird shot. It also loosened up the pellets and made them easier and less painful to remove. Mullein was listed as an emollient and demulcent in the 1917 edition of Potter's Therapeutics, which noted: "It has long been a popular Irish remedy in pulmonary affections" (asthma and whooping cough particularly). An infusion of the dried leaves in milk was recommended as a valuable expectorant that also eased coughing and improved the general condition. It was useful for cystitis, irritable bladder, and diarrhea as well. In rural South Carolina, Mullein-leaf tea is still employed (with the occasional admixture of basil and pine needles) to relieve colds and reduce fevers. Applied externally, this tea heals sprains, and a poultice of the leaves mixed with fat is used to bring boils to a head. At one time, large quantities of Mullein were dried and placed in barns to keep mice away from the grain stored there. The ancient beneficial properties of Mullein have not been entirely discarded. The plant is included in many over-the-counter asthma remedies, and modern homeopathic doctors still prescribe it for treating chest complaints. In Europe an extract of Mullein is used in the preparation of an Old World liqueur called Altvater laegnerdorf. It ought hardly to surprise anyone that Mullein, companion to humankind for more than two thousand years, became endowed with various occult and supernatural powers. Not only is this the case, but these properties long predated the medicinal use of Mullein. The Anglo-Saxons were quoting an ancient legend when they observed: "Of Feldwort [as they called Mullein] it is said that Mercurius gave this wort to Ulixes the Chieftain when he came to Circe, and after that he dreaded none of her witchcraft." They add, "If one weareth with him one twig of this wort, he will not be terrified with any awe, nor will a wild beast hurt him, or any evil come near." With the ambivalence so frequently encountered in superstitious beliefs, Mullein had a reputation for being a favorite plant of witches. In England, Mullein torche were burned to illuminate their Sabbat revels, alluded to by folknames such as Hag Taper and Witches' Taper. Mullein was a plant of Saturn, the planet of evil, who ruled all poisonous herbs and plants of ill repute that were employed by the followers of the devil. Mullein leaves were worn as charms to ensure conception. John Gerard apparently believed they could have the opposite effect as well, for he advised that Mullein worn in the shoe "brings down in maidens their desired sickness" (which sounds like a euphemism for an abortifacient). As might be expected, Mullein was used in love divination. A girl sought out a Mullein plant and named it for her lover. She then bent the stalk toward her home and visited it from time to time to observe how it grew. If it remained bent toward her house, he was faithful; if not, he was untrue. As a cosmetic herb, Mullein was used as far back as Roman times. A wash reputed to restore to its original color hair that had turned gray ~as prepared from ashes of the plant. During the Middle Ages a rinse made with the flowers was said to keep the hair blond, but it had to be used for a long time. Young girls rubbed their cheeks with a leaf to make them pink; much later, Quaker women, forbidden the use of rouge, did the same. Suggested Uses: The dry seed stalks of Mullein gathered in the fall are among the most decorative wild plants for indoor decoration. They can be combined with other dried plants, but are even more effective when massed by themselves in a large jug. This arrangement looks especially handsome next to a fireplace. Individual stalks of Mullein can even be used as tapers to start the fire. An unusual recommendation involving Mullein is mentioned in an old volume of the Standard Cyclopedia of Horticulture ( 1933 edition) .The first-year rosette, it suggests, can be potted as a houseplant, for the sake of its attractive shape, color, and texture. Pour I cup of boiling water over I heaping tablespoon of Mullein flowers. Let steep10 minutes, strain, and sweeten with honey if desired. This is a pleasant, nutritious drink that, taken at bedtime, soothes irritated bronchial passages and relieves coughing. Modern herbalists also recommend this drink to relieve diarrhea in adults. Combine 2 tablespoons of mullein flowers (or you may substitute chopped fresh mullen leaves if you wish) with 1 pint of milk. Heat to the scalding point and let stand until warm. Strain and sweeten with honey. Note: Mullein drinks should be strained through coffee filter paper, to remove the fine hairs that cover the entire plant. These are irritating to the mouth and throat.